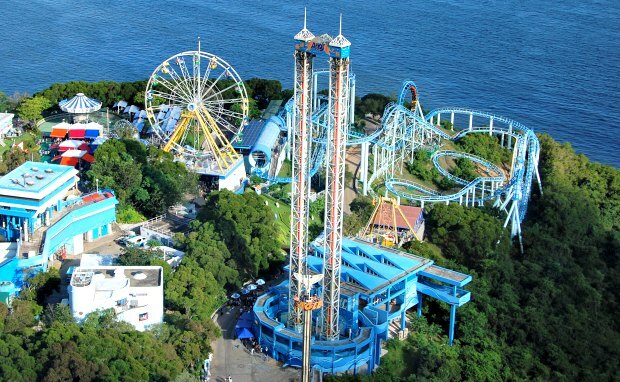 Ocean Park on Hong Kong Island is a marine based theme park including everything from roller coasters to pandas. The main entrance is located at the first site where you’ll find zoo animals and birds. 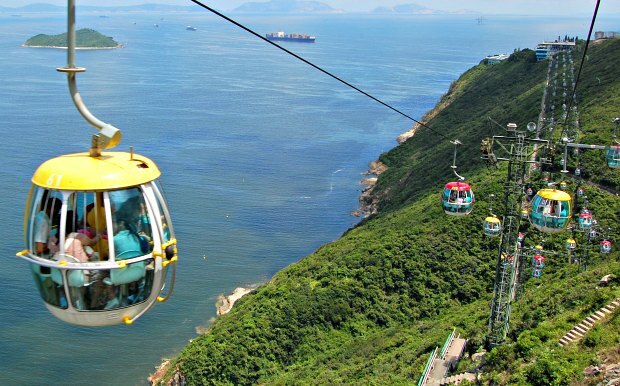 However there is also a second site here which you get to by cable car with tremendous views over the sea. The second site has marine life and thrill rides. We very much enjoyed our visit to Ocean Park. The pandas weren’t awake, but were out in the open and it was amzing to see them. 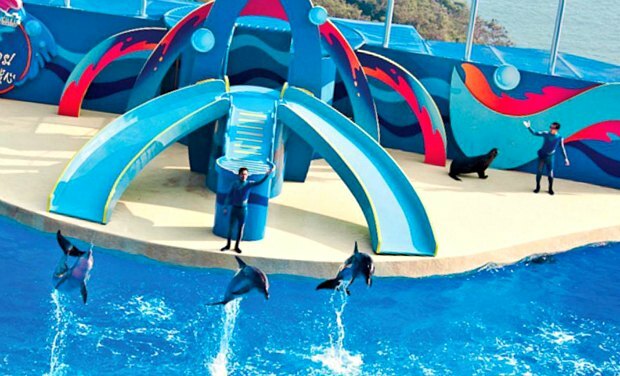 We also enjoyed the dolphin show (pictured below) and any concerns we may have had about the welfare of the animals before visiting, disappeared when we saw how well they are cared for. The roller coaster end of the park was great fun too. Parking is available at the Main Entrance. You can park on site for a fee, but we caught one of the many public bus services that stop near the park (just after Aberdeen Tunnel). There’s also a dedicated Citybus service – number 629A which runs from the central ferry piers and Causeway Bay near Times Square direct to Ocean Park.